The Giver is a work of science fiction written for children by Lois Lowry, and was originally published in 1993. The novel follows the story of a 12-year-old boy named Jonas as he struggles to find his place in his supposedly-utopian society, where pain and dissent have been eliminated… along with most tenants of individuality and emotional depth. Named the new Receiver of Memories for his community, Jonas is trained by a mysterious old man, self-dubbed The Giver, who transfers the hold over the storage of all the Earth’s memories for Jonas to have, just as the Giver has had them all these years. However, as Jonas learns the truth about the society in which he lives, the weight of these memories begin to conflict with the way he views the world around him, and whether the life his society leads is really living at all. 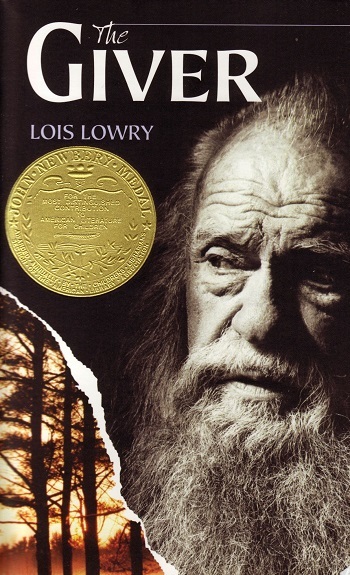 The Giver won the 1994 Newbery Medal and can be found on reading lists across America for middle grade readers, as well as quite a few banned books lists. The novel has sold over 10 million copies, and has also spawned three companion books – Gathering Blue, Messenger, and Son – collectively called the Giver Quartet. While The Giver has been adapted for stage before, it’s first major adaptation will be hitting theaters across America on August 15th, with a full roster of stars set to bring the best-selling novel to the big screen. Jonas is played by Brendon Thwaite, while Jeff Bridges takes the part of the enigmatic Giver, and Meryl Streep tackles the newly foreboding presence of the Chief Elder. However, this new adaptation has been drawing harsh criticism from fans of the original work, due to numerous discrepancies between the stories of the book and the story of the movie. For instance, in the novel Jonas is twelve, but the decision was made to age the character to a more mature sixteen. The status of Jonas’ friend Fiona has also been altered considerably to take on a more romantic position, and Streep’s Chief Elder was specifically engineered to act as a more menacing presence. Despite these facts, sources have also reported that author Lowry has worked well with the film’s direction. By integrating key elements from The Giver into your own wardrobe, you, too, can have a look that looks to the future… but hopefully not such a dystopian one. Product Information: Necklace – Mango, Shirt – H&M, Pants – Nordstrom, Watch – Topshop, Shoes – Modcloth, Clutch – Bluefly. In the community central to the world of The Giver, there is no struggle or unhappiness: everyone knows their place and is content. This is achieved through their adoption of Sameness, which obliterates any unnecessary variation, like the geographic structures of hills or mountains, music, or even colors (only the Receiver of Memories can experience colors, something Jonas himself experiences even before he officially becomes the Receiver, but only later recognizes as the color red). Still, through his training, Jonas begins to realize that the kind of living his community prizes is harsh, unforgiving, and altogether, not really living at all. 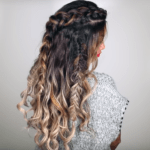 Black and white minimalism brings the Sameness into the foreground of your look and is amplified with constricting, chain-inspired silver jewelry. 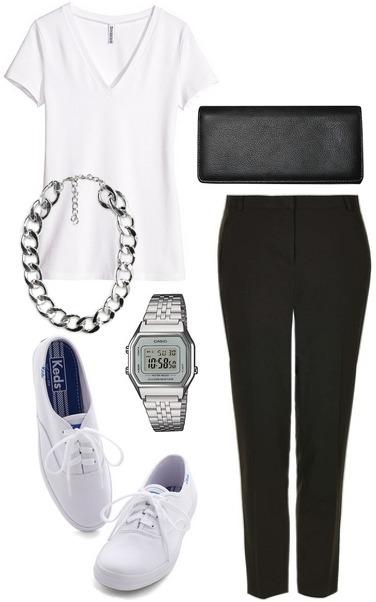 No-frills sneakers and a white v-neck ground the look with comfy basics, while black trousers and a simple clutch carry the tonality of the world further. A silver watch and chain necklace add a futuristic sheen to the minimalist ensemble. Product Information: Headband – Forever 21, Shirt – Mango, Bracelet – Accessorize, Bag – Mango, Sandals – DSW, Skirt – Windsor. 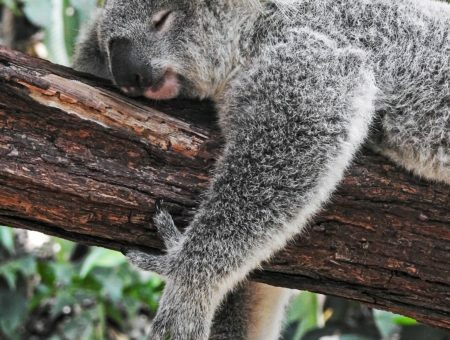 One of the first harsh episodes our main character encounters at the hands of The Giver is something that all of you, now in the dog days of summer, have probably experienced recently: a sunburn. The experience is one of the first to throw into sharp relief a key component of what the society has lost: genuine pain. While Jonas isn’t as shocked by this original experience as by, say, his experiences with war or starvation, this original experience is imperative to Jonas’ training process… particularly because of the effect these kinds of pain had on his predecessor, Rosemary. Channel the changing ideology Jonas confronts in his own mind by bringing neutrals up against the color red with specific elements that bring to mind a sunburn, like the tan lines left by strappy silhouettes and relaxing in comfortable fabrics. 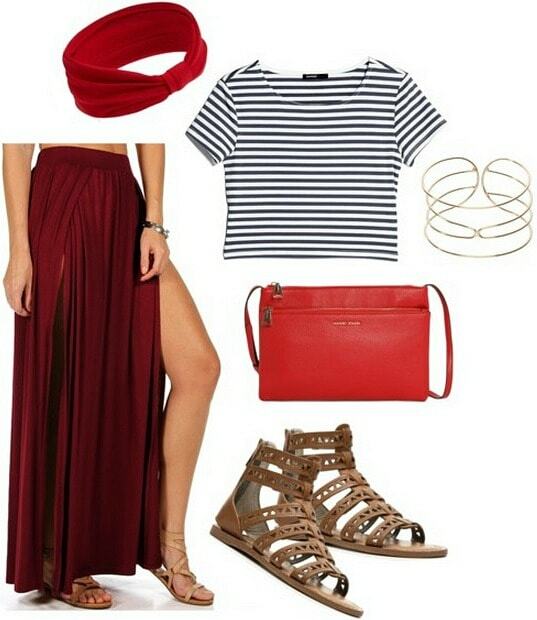 Gladiator sandals, an arm cuff, and a striped shirt bring forth both lines and neutrals, while a red headband, crossbody bag, and maxi skirt bring the heat. The community Jonas lives in is a heavily restrained one, where almost all individuality is suppressed in favor of Sameness, and all emotional response is only face value, as well as carefully monitored. What Jonas comes to know through his training as The Receiver is that life – with all its passion, pleasure, and pain – is only truly lived when you can experience all of its genuine experience. Shake up classic, staid silhouettes with mixed prints and unexpected accessories. Obliterate the rules of the Sameness with quirky colorful pieces that combine patterns and textures to form something unique. A bright paisley dress gets amped up by studded burgundy boots, mixed media bangles, a bright bag, lace drop earrings, and a colorful scarf in a contrasting print. Did you read The Giver in school? Do you plan on seeing the movie? 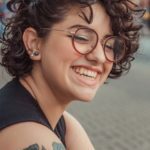 What do you think of the outfits and styling tips? Let me know in the comments below!